THIS NATURAL MOISTURIZER for hair skin & nails hydrates and retains moisture. 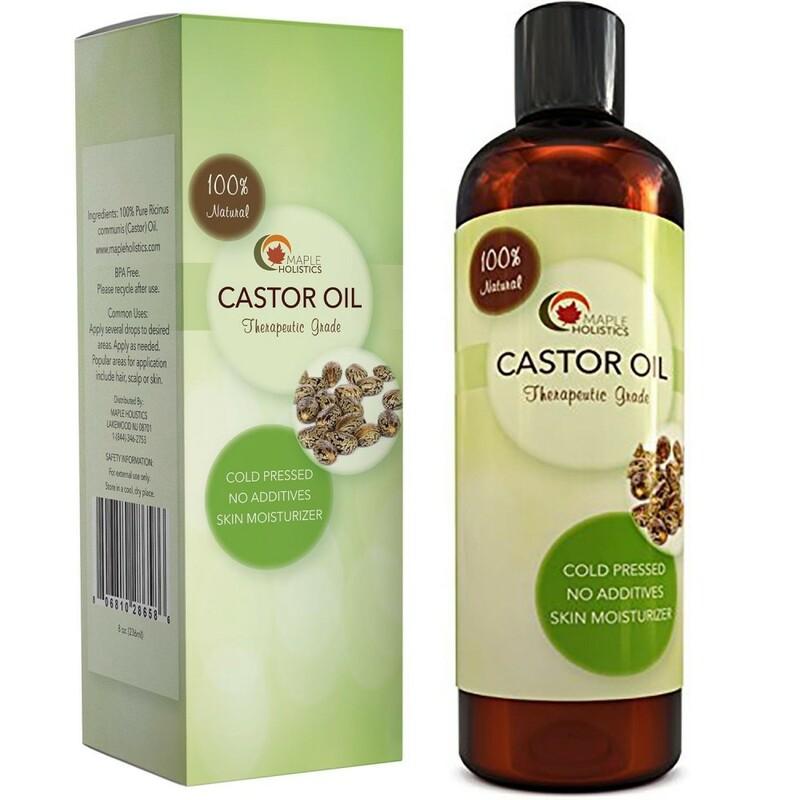 Castor oil naturally combats aging by thickening hair & smoothing skin. It is great emollient massage oil for women & men. THIS PURE OIL HELP PREVENTS PREMATURE AGING such as fine lines wrinkles & dark circles. While we cannot stop the aging process, we can slow down its effects by protecting our skin with antioxidants. CASTOR CONTAINS VITAMIN A & C which defend the skin from environmental factors, like UV Rays, that speed aging. This oil provides many of the nutrients that nourish skin leaving a smooth soft feel that looks youthful & enables the most radiant you! NUTRIENT RICH TO PROMOTE HAIR GROWTH Whether you want longer eyelashes, thicker eyebrows, bigger beard or to repair dry brittle tresses use this vitamin rich cold pressed super oil for luscious locks. OUR CASTOR OIL contains extremely powerful ingredients which are gentle & effective. More so than other castor oil liquid drops cream or gels. It can be used by men women & teens. This premium product is produced in facility that exceeds cGMP standards. 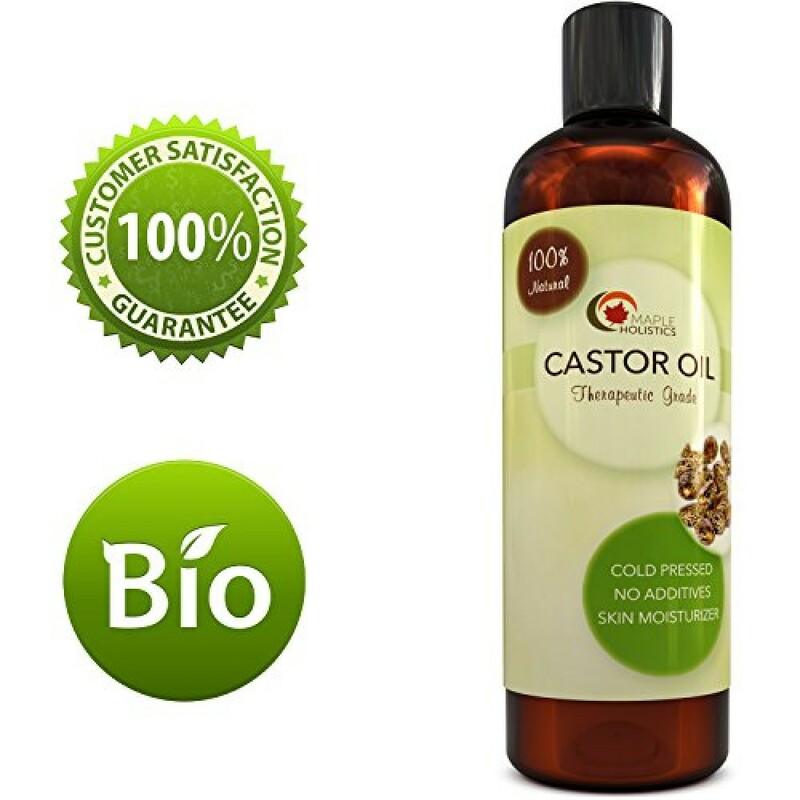 Castor Oil is an all-natural, nourishing essential serum that smooths and hydrates hair, skin, and nails. This nutrient rich oil is obtained from the seeds of the castor plant and is used as a healing treatment for a variety of beauty issues. This essential serum is full of antioxidants that promote elasticity in the skin that are frequently lost to age. It simultaneously nourishes the skin and nail beds giving them a radiant glow. Castor oil is a natural way to stimulate hair growth for thicker and fuller hair. Castor Oil is Natureâs gift of healing for all of man and womankind! Historically, it has been used to heal a range of medical ailments. To this day, many homeopathic doctors and masseurs still use this essential serum to help people overcome various issues affecting them. This natural emollient penetrates the skin, delivering therapeutic moisture. 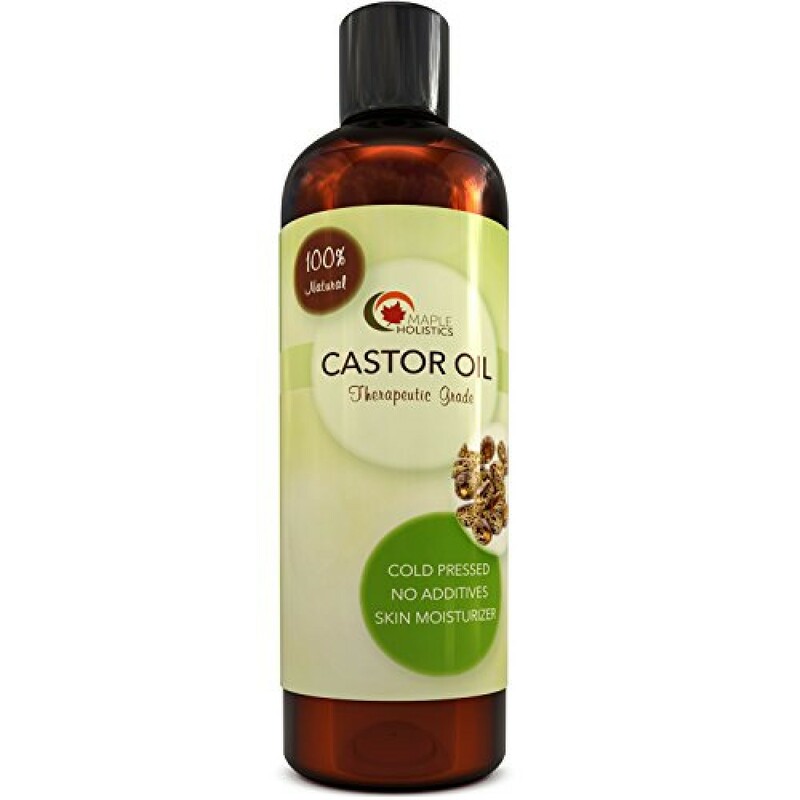 Castor Oil is great for alleviating the deep lines left by stretch marks & scars. Applying this fast absorbing oil directly to the skin will help fade those fine lines since it is packed with nourishing Vitamin E, a common treatment for scars! 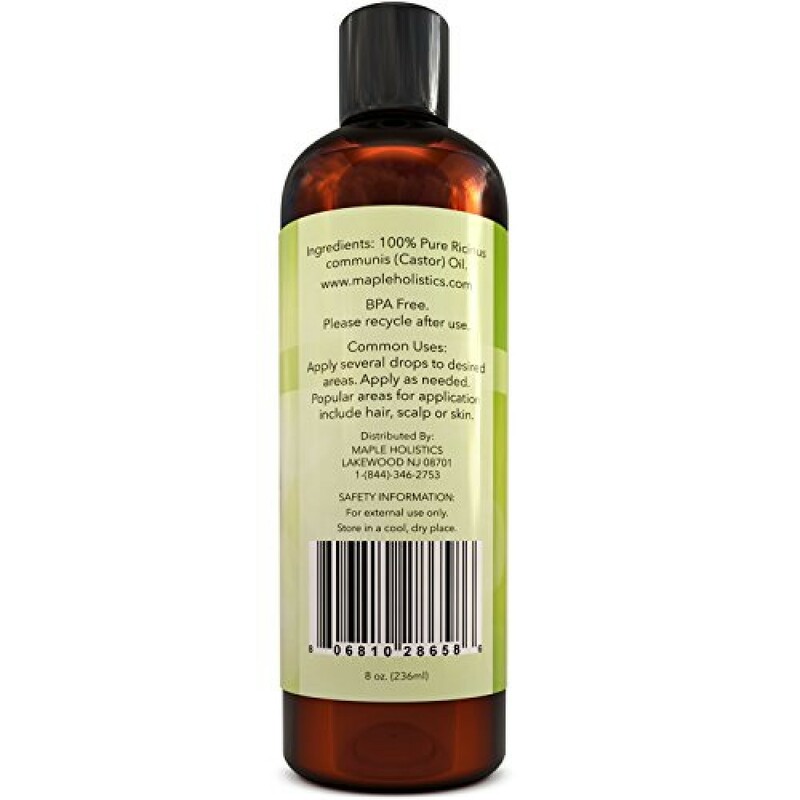 This premium bottle of castor oil is produced in a FDA, GMP certified facility & is a Non GMO product. Our customers mean the world to us this bottle is backed by a money back guarantee. It is paraben free and chemical free so you can feel secure that you are using a high quality product that will not irritate or aggravate your skin or hair in anyway.